Looking to get started with vlogging? For starters, welcome to an exciting world for an idea and opinion sharing. Vlogging is a great way to show off your passion for something, and it’s easy to get started. 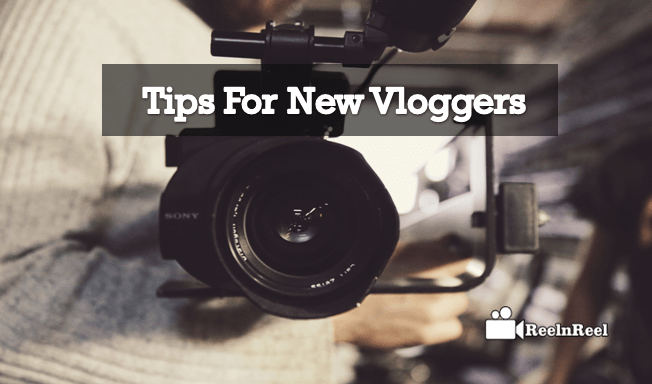 All new vloggers can benefit from some guidance to make a go of it, and the following tips will teach you everything you need to put together your first vlog. Tips For New Vloggers are framed here. Take a look at these essential tips for new vloggers. Your first vlog should be an eye-catching, standout piece. While it’s tempting to opt for the typical introduction video, you’ll need something a bit more engaging for your first vlog to pull some viewers in. After picking your niche, think of a good topic and start thinking about what you’d like to include. While a vlog shouldn’t be scripted, it’s helpful to put some pointers together to stop your first one being one long train of thought. Take a look at some useful pointers to help you choose the right vlog topic. You don’t need to invest hundreds in new equipment to get started on your vlog. Most new smartphone cameras operate video cameras at a decent resolution to produce easy HD quality video, while also ensuring great sound quality. Lighting is the most important thing for your vlog, so make sure you choose a room that is well-lit, with natural light if possible. While you can edit on a phone as well as film, you’ll get better results by using a computer to do your editing. Take a look at laptop.review to research the best laptops on the market, so that if you do decide to invest in some new equipment, you’ll know what to look for. Once you’re comfortable with the process, you might want to consider upgrading to a DSLR or compact camera and some sound/lighting equipment to improve the quality of your videos. After putting together a great video, the next step is making sure that people see it. There are some simple strategies you can adopt to promote your vlog including social media, engaging with users and developing SEO (search engine optimization). You could consider setting up a blog alongside your vlog to promote your content further and help you push your content out to a wider audience. Each time you publish a new blog post, you should think of how you’re going to promote it to help you get the most out of it. There are plenty of tips for helping you to promote your YouTube videos that can help you boost those viewer numbers. Vlogging is popular on YouTube as it allows to express ourselves and our interests to wide numbers of followers. There are no specific qualities that one should have to become great vlogger but most of the successful vloggers have these characteristics. 1. Consistency is the key to success for any vlogger. Provide the content that your fans are looking on regular basis. 2. Being a unique blogger helps in standing out from the crowd. Try to present the same thing that most bloggers do in a different and engaging way. 3. Focus on a niche and show your audience that you are an expert. 4. Give a unique experience to the audience like in the style, the information you provide or the way you present it. 5. The sense of humor is a quality that will help a vlogger to engage the audience. Visitors will enjoy watching the video and there will be fewer instances when people will stop watching the video in the middle. 6. Maintain a positive attitude. You should be interested in what you are saying. The audience should feel the excitement. 7. Being responsive to comments, likes and shares are important for channel growth. Engage with the audience and this proved to be beneficial for many successful vloggers. 8. Having a blog, using social media sites is powerful for the promotion of vlogs. A vlogger should use the social media effectively. 9. The greatest characteristic that vloggers should possess is networking with other vloggers. 10. Make the vlogs interesting by being friendly and relatable. The above are few things that should be kept in mind to become a successful vlogger. The style of vlogging should define the creator and the channel. Projecting positive attitude makes a lot of difference in how the channel is portrayed by the followers. While vlogging can be a career for some, at the beginning you should focus more on enjoying it and learning how to master the essentials. Put a plan together of how you want your vlog to look and feel and work out how you’re going to achieve it. You never know where your vlog might take you, but you won’t know until you give it a try.